J & M Roofing East Midlands Ltd - Builder, Fascia/Soffits/Guttering, Roofer based in Heage, Derbyshire. 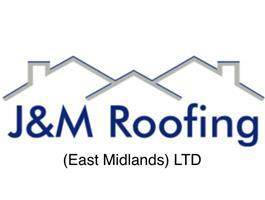 J & M Roofing (East Midlands) LTD was established by John and Matt after working together for the past 8 years. With over 30 years experience in the roofing industry, we have gained extensive knowledge working on the conservation of listed buildings and other historic buildings. We have the skill to keep our traditional buildings alive. Based in Derbyshire we provide roofing services from small repairs to full strip and re - covers as well as new spec build projects. All our work is carried out to the highest of standards having won an NFRC roofing award in 2013 and 2015 with a previous employer.